Deb and Scott are getting married this December at Samlesbury Hall. They decided to have a pre-wedding shoot to test the water before their big day. I don’t do too many pre-wedding shoots, but if anyone is feeling nervous before the wedding day, they can be a great way to get used to being front of the camera and to see how I work. I like to keep my portraits as natural as possible focusing the couples attention on each other rather than myself so that they can have a great time together and pretend I’m not there. It’s also a great way to get to know each other more, as we can spend the hour or so talking about the wedding plans in more detail and just learning more about one another. 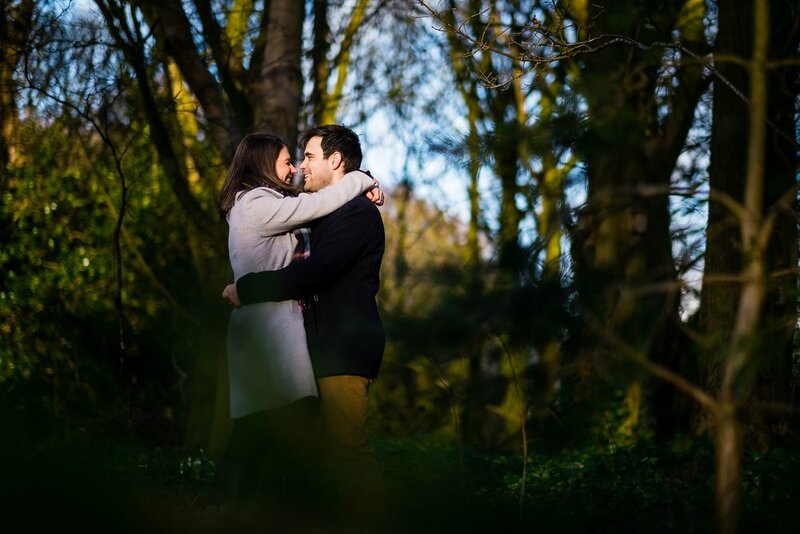 They chose Williamsons park in Lancaster for their shoot which is a stunning location in Lancashire with plenty of different backdrops from lovely Woodlands to the stunning memorial. We rescheduled from the week before as it was a washout with rain and luckily, when the new day arrived, the sun was out and the place looked perfect. We explored the park starting off on a bench that they like to call their own. Scott has done regular runs in the park and they like to visit when they can, making it the perfect place for their pre-wedding shoot to take place. We then moved over to the memorial climbing the steps to get photos at the top with a view overlooking Lancaster and out to Morecombe Bay. We continued to walk around the park catching photos in the woodland and picking out some of her favourite spots were there to see in theatre plays take place. We did a round circle of the park before heading back to the memorial to finish up. Speaking to Deborah and Scott at the end of the Photo session they said they feel felt much better and couldn’t wait for their wedding day. Working with people as naturally as possible without too much guidance and posing, allows them to be themselves and makes for a much nicer photographs. 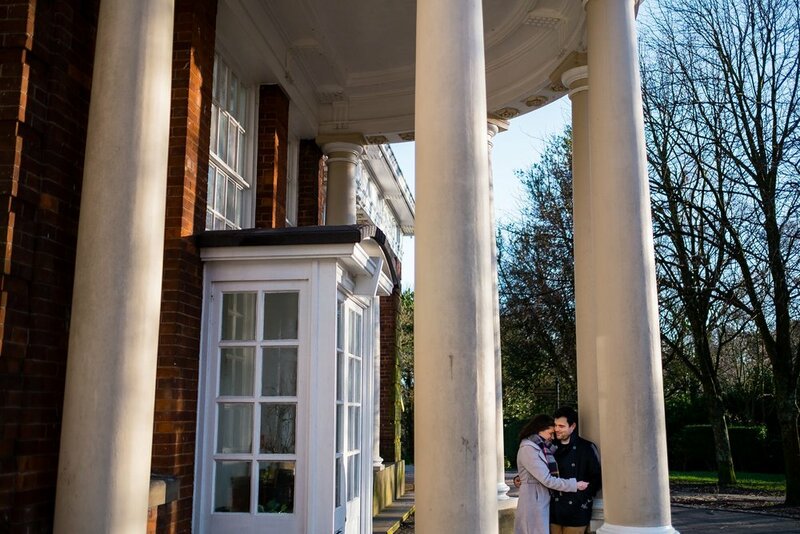 Williamsons park is not only a perfect location for a pre-wedding shoot, but also the perfect place for a wedding to take place. 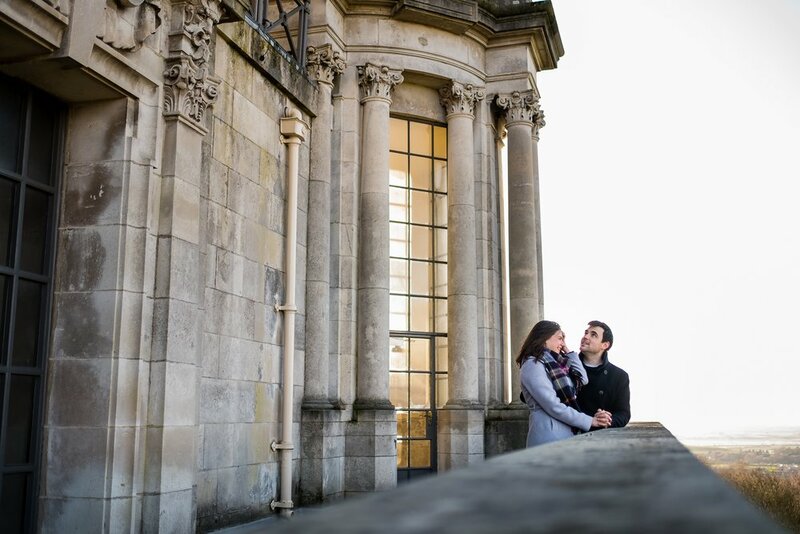 Weddings can take place in the Ashton Memorial which is a truly stunning setting with 360 views around the park. There is also a butterfly sanctuary across from the memorial which can make for lovely wedding photos. Hayley and Adams' Sandhole Oak Barn Wedding!